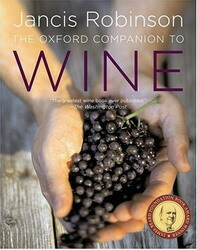 There can be no doubt that Jancis Robinson is one of the foremost authorities on wine. Her knowledge on all things wine could literally fill an encyclopedia…which is precisely what she’s done in The Oxford Companion to Wine. This colossal wine book registers in at a hefty 815 pages and is full of anything you’ve ever wanted to know about wine all chronicled in alphabetical order by topic. From descriptions of wine grapes and regions to explanations on the chemical process of fermentation this book has it all; and the 3rd edition with over 3,000 entries is even more complete. It is, however, a reference wine book which does not make this a book for light reading; nor are there many pictures to liven it up. We find ourselves using it in a similar manner to Wikipedia only when we have a particularly obscure topic or want to ensure we have the most correct and up to date information. If you often find yourself craving more information about a wine you are drinking or a topic mentioned briefly this book offers a quick solution to your curiosity in clear and easy to understand language. Jancis Robinson is well known not only for her authority on the subject but also for her ability to translate it into every day speak. This wine book is an invaluable reference if you find yourself seeking out more information than is provided in popular media or on the back of a wine bottle.